The outer project of transitioning to a just and sustainable culture. Through the work of the strategic planning process of 2016-17, the relationship between these three areas of activity and these three categories gained greater clarity using the metaphor of a tree. CTP maintains an inside out approach to transformation. 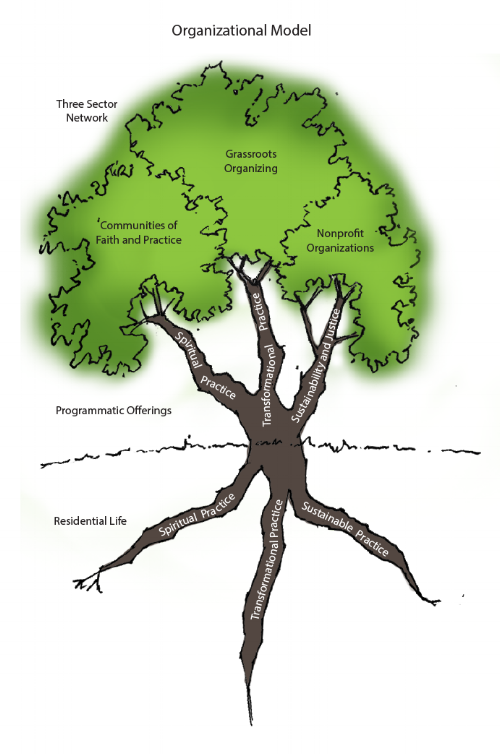 The diagram conveys how our work begins at home in the roots, our practices are shared with community through programmatic offerings, which join together the three sectors of our networking campaign in the tree canopy.